This book is a top to bottom treatise on how to build a game using Stencyl, from humble beginnings to the last 10% spent polishing and taking a game to market. You'll build not just a working knowledge of Stencyl, but acquire a general toolbox of techniques and wisdom that will serve you well throughout your game-creating career. 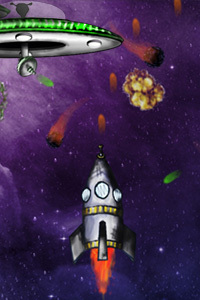 Whether you are new to game development, or an experienced developer looking for a quicker, more intuitive way to prototype, develop, and publish your game ideas, Stencyl Essentials will show you how to realize your game development ambitions in a fast, engaging and intuitive way, using the wonderful Stencyl game engine and toolset. If you, or someone you love, has been thinking about making their own video game or app, Stencyl and this textbook could be a great way to jumpstart that dream. 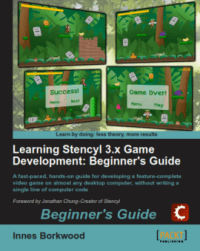 Learn game development with a qualified ICT Teacher, experienced IT Trainer and author of Learning Stencyl 3.x Game Development: Beginner's Guide (Packt Publishing, May 2013). 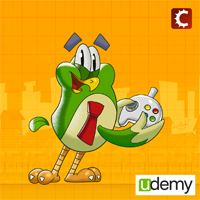 This course is for anyone who wants to learn how to create video games for fun or profit. No knowledge of game development or computer programming is required to start this course. Brought to you by Richard Sneyd, Senior Instructor at CMG Academy and Lead Designer at CyberMyth Games, this course teaches you everything from working with scrolling and parallax backgrounds, writing actor and scene behaviors, using audio, bitmap fonts, to spawning game content programmatically for infinite game play. By the end of the course, you'll have acquire superb confidence and skill, and will be much more comfortable building and publishing your own games with Stencyl. Most suited to beginner or intermediate level Stencyl users. Learning from an experienced game development & design lecturer, & founder and CEO of CyberMyth Games, you will acquire all the skills necessary to Design and Create your very own computer games -- complete with Basic AI, industry standard graphics, fully animated characters, & destructible environments -- which can then be shared with your friends, or published to commercial markets such as flash portals, the App Store & Google Play. No prior experience is necessary to take this course. By Richard Sneyd, experienced lecturer and CEO of CyberMyth Games, this Advanced Computer Game Development and Design with Stencyl course is designed to take you on the journey from beginner to expert stencyler. By the end of the course, you will know how to create menu systems, level selection screens, understand how to balance performance and aesthetics, work with and create your own extensions, and write basic haxe code. In other words, you'll be ready to go pro. While new users will have no trouble completing this course, those who have completed Create Your First Computer Game with Stencyl will have a firmer foundation on which to build. 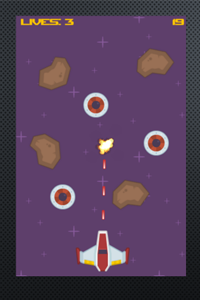 In this course, we will learn to use the basic concepts of Stencyl and develop a small game from scratch (with the same mechanics as 'Flappy Bird'). Although Flappy Bird is a simple game, it covers almost all the techniques required in the development of a game (working with animations, physics, collision objects, text, scoring). 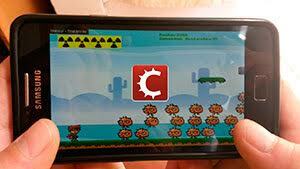 This course will teach students to create their own video games for PC, Mac, iOS and Android using Stencyl. No prior knowledge is required to follow the course - games will be created from scratch and the course will cover all the steps required to create a game. 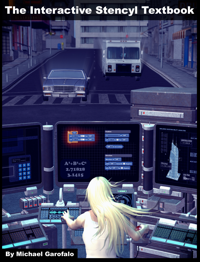 With the skills acquired in this course, you can make virtually any game you wish. Have you written a book or created a course? Disclaimer: Stencyl is not affiliated with the authors listed on this page, but we may receive compensation from referred sales.